, together with some warblers (Sylviinae). 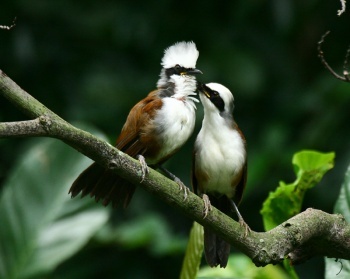 English: White-crested jay thrush; French: Garrulaxe а huppe blanche; German: Weisshaubenhдherling. 12 in (30 cm). 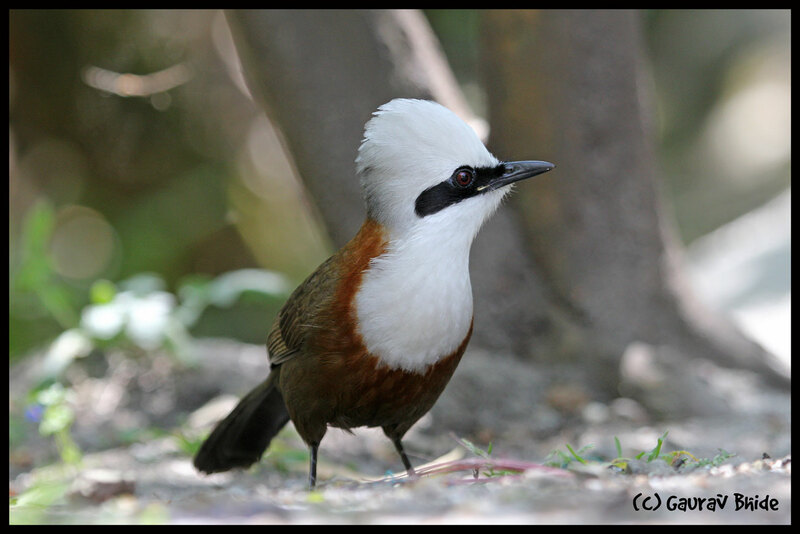 Instantly recognizable dark-bodied, whiteheaded bird with bushy crest and black mask and beak. Sexes monomorphic. 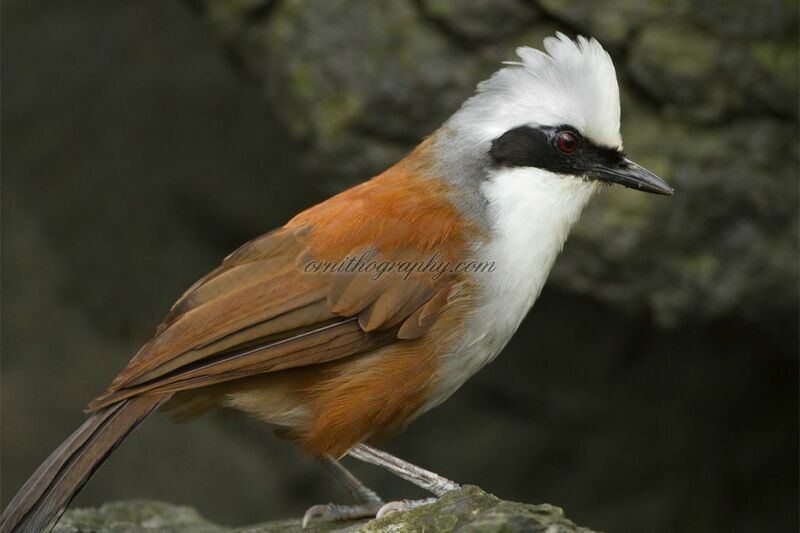 Subspecific variation fairly pronounced: Himalayan nominate subspecies has brown chest and underparts. These areas are white in southeastern Yunnan and Indo-Chinese G. l. diardi, which also has a much grayer nape. 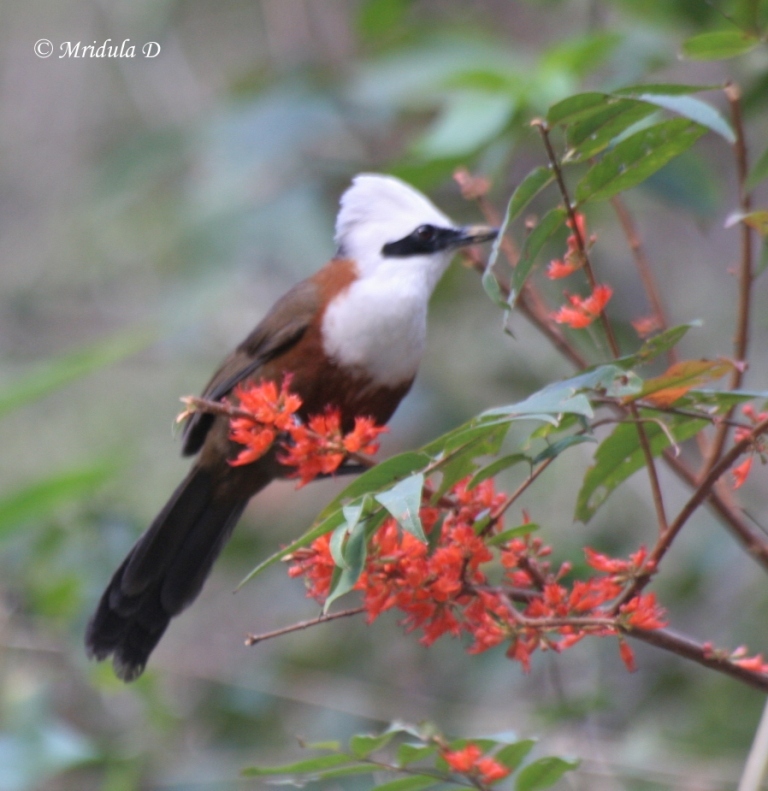 G. l. patkaicus of Assam, northern Myanmar, and western Yunnan, has brown underparts, but a pure white nape. Sumatran G. l. bicolor has underparts, back, and tail blackish brown, a very different shade from that of other subspecies. The length of the Himalayas, with some gaps, Assam, Myanmar, southern China, Indochina, and an isolated subspecies in Sumatra. Evergreen forests, especially secondary, where heavy undergrowth and bamboo stands abound. 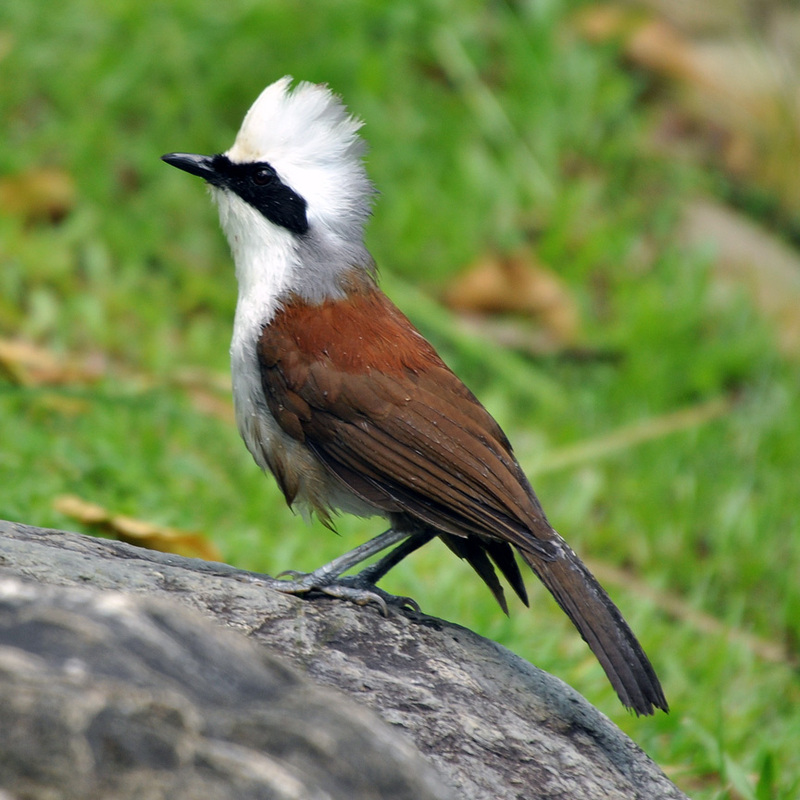 Frequents lower storeys of forest, roaming in flocks of varying sizes (up to 40), often with other bird species. Distinctive ringing, antiphonal vocalizations are frequent. Groups continuously forage through plants and leaf litter for insects, lizards, fruit, nectar, and seeds. Species observed in flocks during the breeding season. From captive observations, however, it may prove that only one pair actually breeds. Clutch size is usually three to five. Eggs are white. The wide, shallow nest is usually only about 6 ft (1.8 m) above ground. Bamboo leaves are preferred material for nest. In China, two broods are usually raised each year, any time from March through August. In zoos, breedings have been recorded all year. Not threatened. Preference for secondary forest decreases vulnerability to habitat loss. Traditionally exploited for cage-bird trade; as of 2002, only Indonesia exporting. Very popular in zoos; more than 400 hatched in United States alone since 1968.